There was a time when animals we farmed were raised on what was grown locally. This meant that their meat, milk, and eggs developed unique and rich flavors based on where and how they lived. Moxie Ridge Farm & Creamery is dedicated to returning to this tradition and bringing these foods to the communities of Upstate NY and beyond. Moxie Ridge pork comes from heritage-cross hogs raised outdoors in a primarily forested pasture. They are fed fresh whey from the creamery daily along with locally grown non-GMO grain, which is supplemented by their rooting and foraging. They are finished with hickory nuts and acorns, resulting in pork a deep, rich flavor. 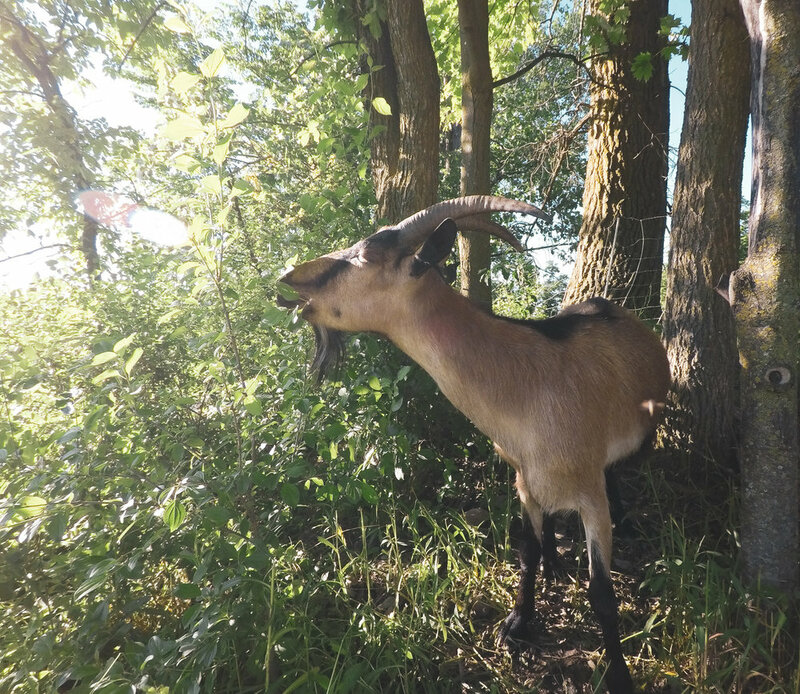 Our goat cheeses are made on-farm with the milk of our growing herd of sassy Alpine and Saanen goats. The Moxie Ridge obsession with terroir and commitment to hand-milking makes all the difference in these traditional cheeses. That's right, these eggs can range as free as they like. But so can our laying hens, all of which are named Susan, Betty, or Rhonda. Our free-range flock's forage-based diet is supplemented with local non-GMO grain, with a protein boost of whey. The hens are primarily heritage breeds and lay eggs that have become wildly popular with Moxie followers. Moxie Ridge Farm & Creamery is located on Rt 43 in in Argyle, NY- also known as "the ridge road" by locals. 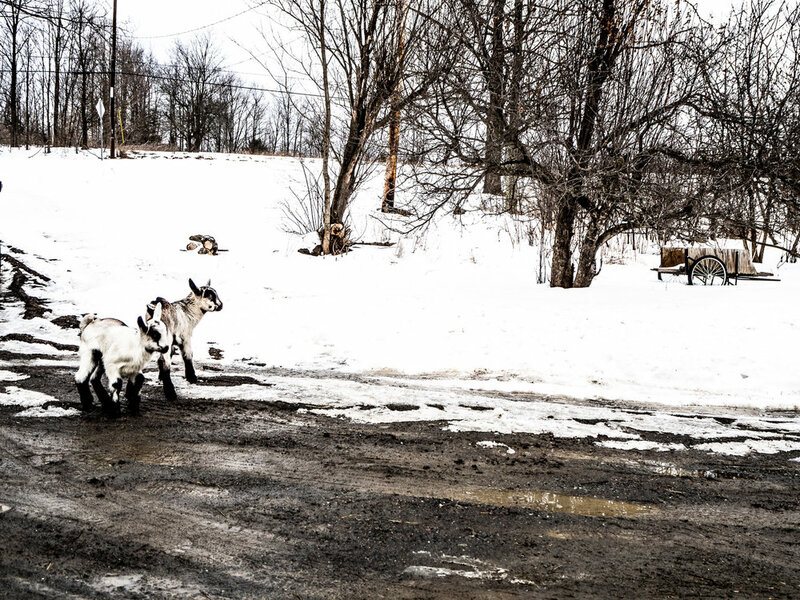 The farm is made up of a 200 year-old farmstead on 46 diverse acres where the Moxie milking goats, laying hens, meat chickens, sheep, and pigs are raised on pasture, brush and woods. Whenever possible, mechanized techniques for land management are put aside in favor of an animal-based approach. This means goats are used to clear brush, horses and sheep are grazed to "mow" and prep pasture, chickens run to restore soil nutrients, and pigs are used to till for next year's planting. Everyone's got a job at Moxie Ridge. With this approach in mind, it's not surprising we've chosen to manage the land and crops according to organic standards. Become a part of the Moxie family and volunteer this season.